“Highly recommended. 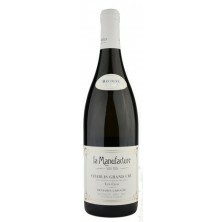 A distinctly animale note characterizes the more deeply pitched nose that is very Nuits in character with pungent earth notes suffusing the red and blue pinot fruit aromas that introduce rich, full and seductive medium plus weight flavors as the dry extract confers a velvety qua.. The 2009 Nuits St. Georges Les Roncieres has tremendous depth in its fruit but also comes across as a bit awkward and closed in on itself. This is a very difficult wine to judge today. Anticipated maturity: 2014-2024. 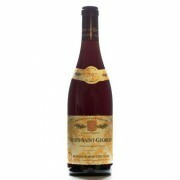 Classic Red Burgundies from one of the region's best appellations. 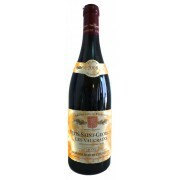 "The Chevill..
More sedate and sweetly-fruited than the other wines in its immediate family, the Chevillon 2008 Nuits-St.-Georges Les St.-Georges displays ripe purple plum and dark cherry; peat and crushed stone; and concentrated red meat juices on an almost plush palate, though one underlain with abundant, fine t.. Here too there is a subtle touch of wood that does not interfere with the clear expression of the intensely earthy and sauvage character of lightly spiced red berry and cassis aromas. 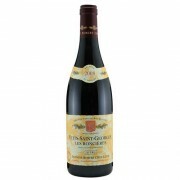 The supple yet quite concentrated broad-shouldered flavors are supported by very firm tannins before culminating in .. Correct honest lovely stuff with no excess of artifice, so hearty and solid. Drink 2013-2018 Classic Red Burgundies from one of the region's best appellations. "The Chevillons are in a class by themselves among the major Nuits-St-Georges landholders" - Robert Parker ..